This trip usually takes place end of October beginning of November as the truffle season in Piemonte is around that time. We usually start the trip in Liguria home to the Cinque Terre. We stay in the delightful coastal town of Santa Margherita and from here we explore Portofino and San Fruttuoso by boat (weather permitting) we eat fresh seafood on the beach front accompanied by fragrant whites from the Cinque Terre. 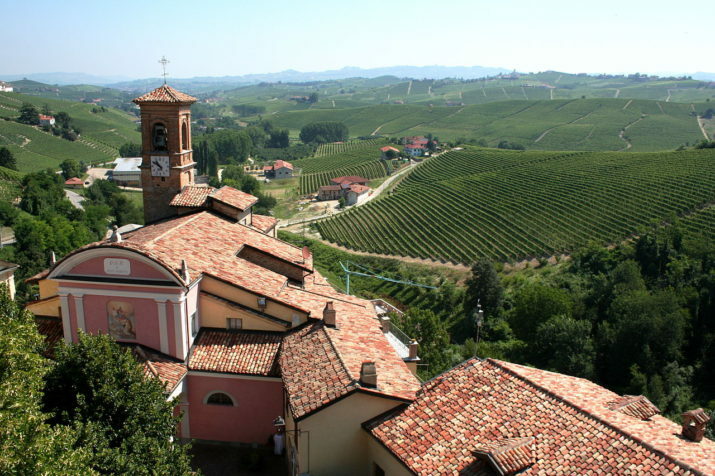 Moving on to Piemonte we stay at winery accommodation and our focus here is the superlative Barolo and Barbaresco wines of the Langhe area, as well as the Barbera and Dolcetto reds. Truffles are a must and more than that we go truffle hunting with Ermanno and his dog! Autumn in Piedmont is especially beautiful with richly coloured leafy vines, the temperatures are still mild but cool down in the evenings so that a supreme dinner with local Piemonte food and wines in front of a blazing fire place is really idyllic! Some of the iconic producers we visit are Teresa Mascaraello; Borgogno; Fontanafredda; Pio Cesare; Marchesi di Gresey and Franco Conterno.